San Juan/Barataria MP Dr Fuad Khan. FORMER health minister Dr Fuad Khan has accused Health Minister Terrence Deyalsingh of unnecessarily alarming the population and creating a shortage of H1N1 (swine flu) virus vaccine. In a statement yesterday, Khan said Deyalsingh assured the Parliament that 75,000 vaccine shots would be enough for 1.4 million people. Khan said Deyalsingh not only created a shortageof the vaccine, but put additional pressure on the Caribbean Public Health Agency, which is responsible for testing for the swine flu virus. 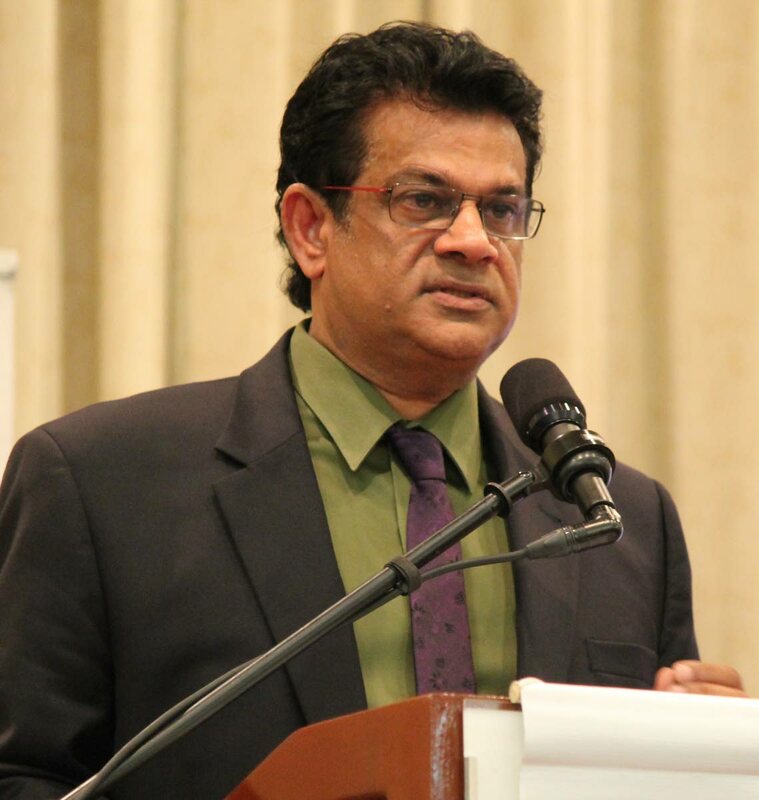 “In short, the only thing Mr Deyalsingh has achieved is creating hysteria among the citizens of this country and compounded it with chaos within his ministry, and as such, in the absence of a pandemic our hospitals and their distributions chains are collapsing,” Khan said. There have been three confirmed H1N1 virus deaths. Police have had to be called in to restore order at health centres because of an unavailability of vaccines. Khan suggested that Deyalsingh explain how he intends to restore order to prevent further panic or confusion. He also said it appeared the health minister was unaware that the majority of people valued their lives and health, which may have resulted in the shortage of vaccines. “It is impressive that someone who claims to understand the need for vaccination such as Mr Deyalsingh has so monumentally botched the distribution of these vaccines,” Khan said. Reply to "Khan: Health minister caused swine flu panic"